Sushi Miyakawa is located right in the heart of downtown Sapporo. I loved that it’s a standalone building, with the entrance right on the ground floor. Don’t underestimate what this means. Many if not most restaurants are on crowded streets where there’s a tiny staircase, and restaurants go all the way up to whatever floor, on every floor of the building. Most of these buildings also do not have door numbers, so even if you’re on the block, it doesn’t narrow it down too much. There are business signs/logs at the base of the stairs, but almost all are in Japanese. Meaning you would have to match the characters on the base of all the stairs for every single building, until you find “the” one. This can be pretty frustrating. 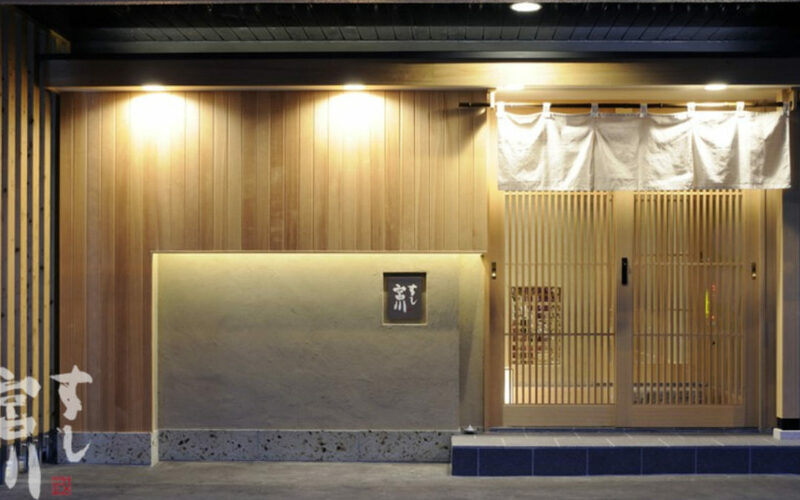 We’ve gotten accustomed to screen capturing the street view and the Japanese name of the restaurant, and STILL allotting 30-40 minutes to get to a restaurant that is within 10 minutes away. It really is that bad. Back to topic. 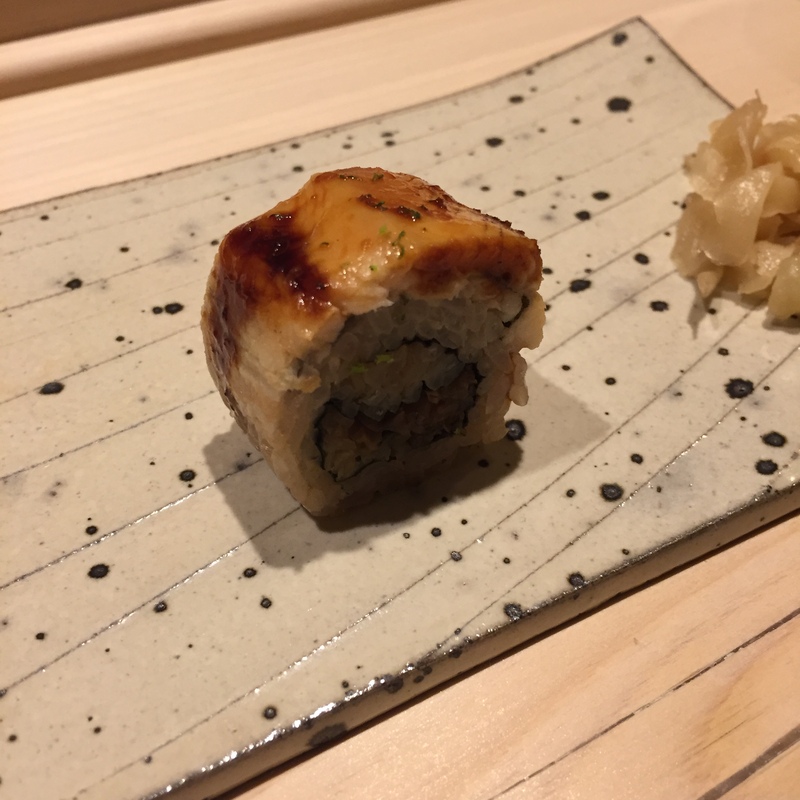 Sushi Miyakawa is a super easy going sushi-ya. The wait staff is plenty friendly, knowledgeable, and is even English friendly! Whenever they were unable to explain something, they looked it up online, and showed you! Miyakawa-san himself is crazy nice, doesn’t exude any of that heinous, pretentious, sushi-chef behaviors. On the contrary, he is super attentive and accommodating. When he saw me slowing down my eating pace, he offered to lessen the rice. When I slowed to a crawl, he offered to make things sashimi. Super nice chef, and an overall inviting and warm atmosphere. 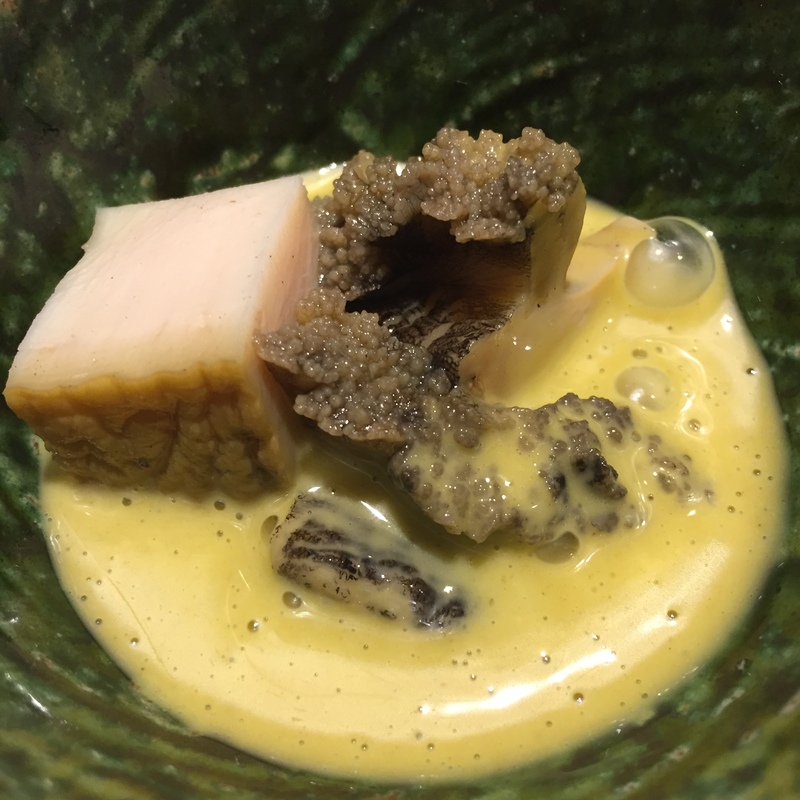 Our omakase tonight started with 6 small plates, followed by 11 pieces of sushi, and wrapped up with a miso soup, and TAMAGO. Despite throwing in my towel after the 11th serving, not one was “bad” or “mediocre”, 4 was “good”, and 7 of the 11 was GREAT. The rest, boyfriend claims were also between great and good. For me, 7 out of 11 being “great” is almost unheard of. My rating system is extremely stringent, and I’m downright stingy with my “GREATs”. Think my five category rating of variety, freshness, preparation, cost, and sake markup, is tedious? 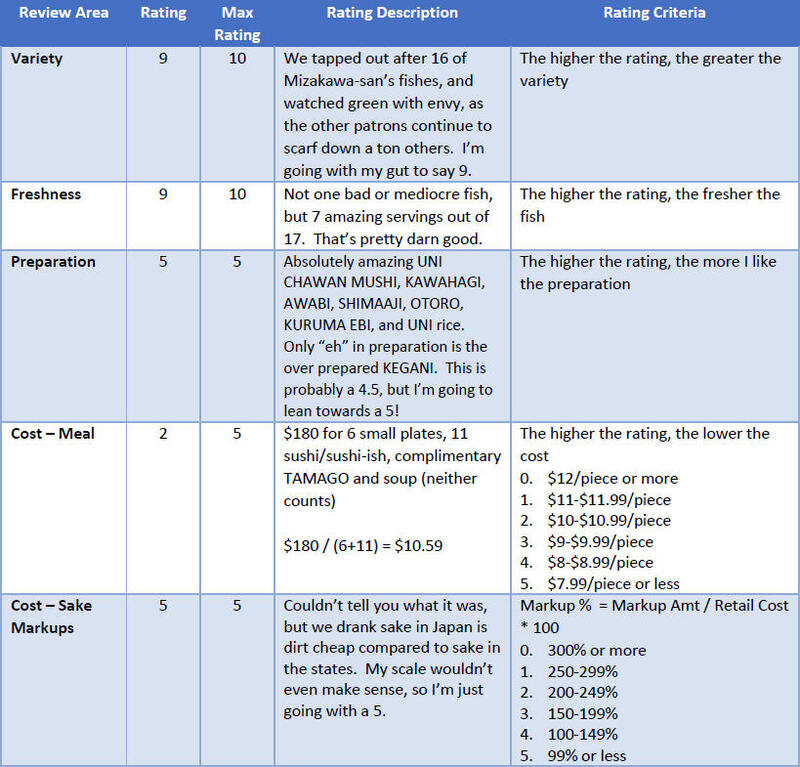 Well, I actually have a grid where I rate every single piece in freshness AND preparation, before compiling my overall ratings. 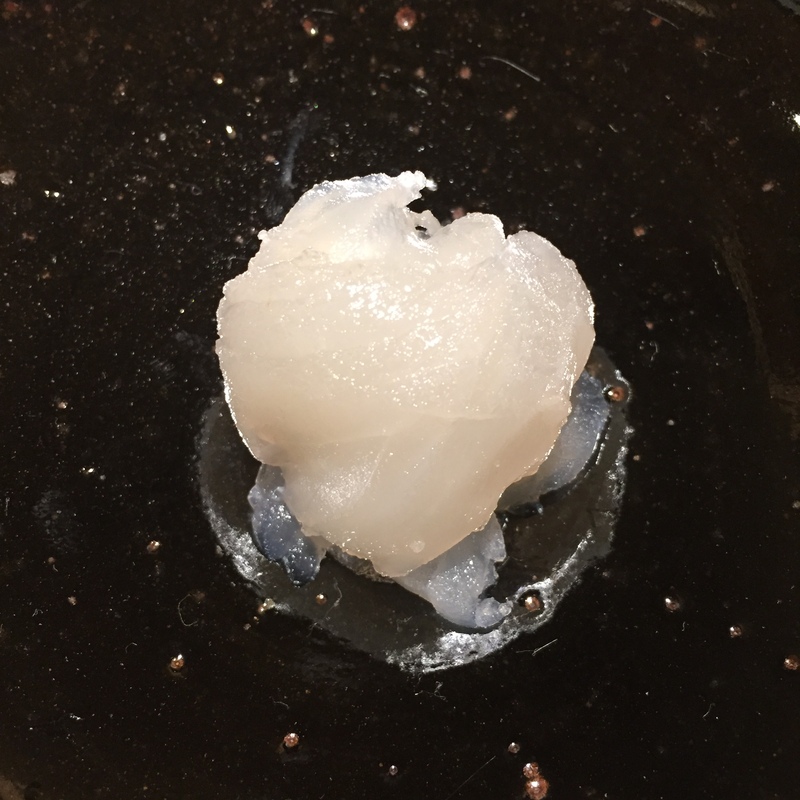 Yes, I’ve turned the art of sushi tasting, into a science! 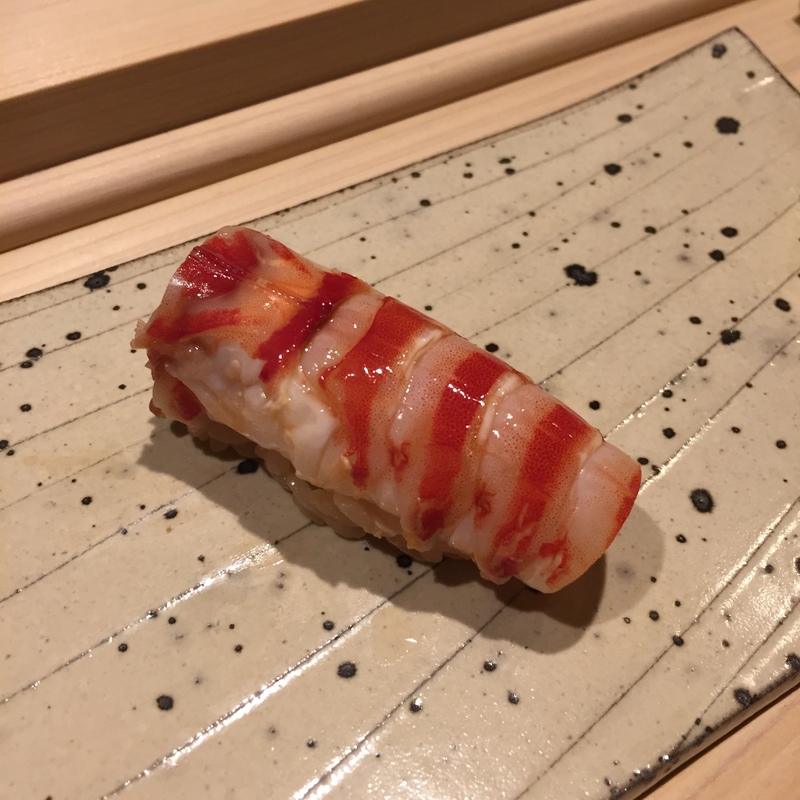 Back to Sushi Miyakawa, one of the rare times, I’m agreeing with Michelin’s 3 star rating. 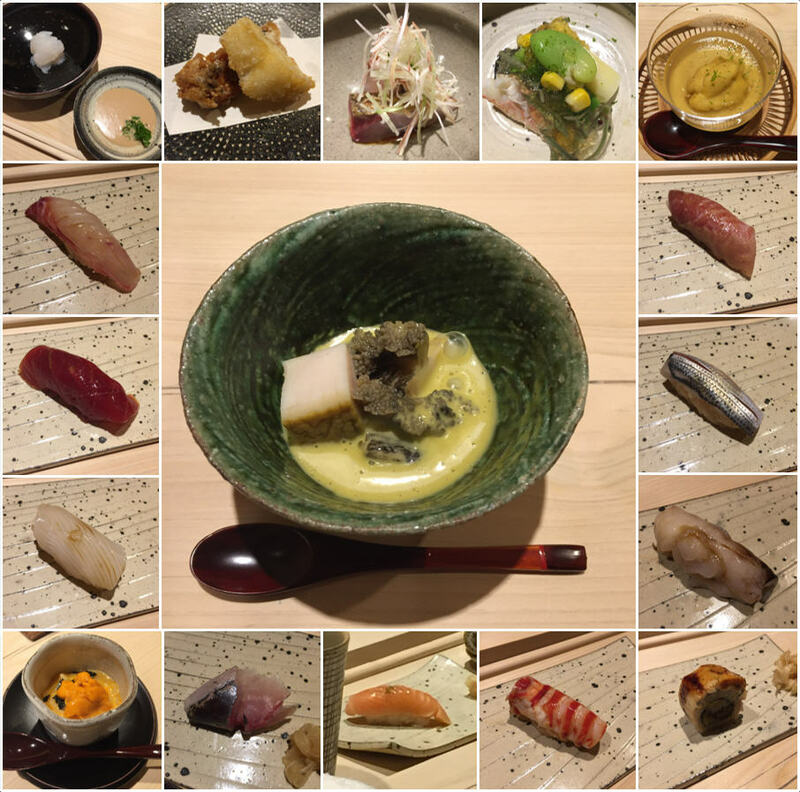 And for this 18 serving omakase to cost only a mere 20,000 yen, roughly 180 usd? Insane in the membrane! 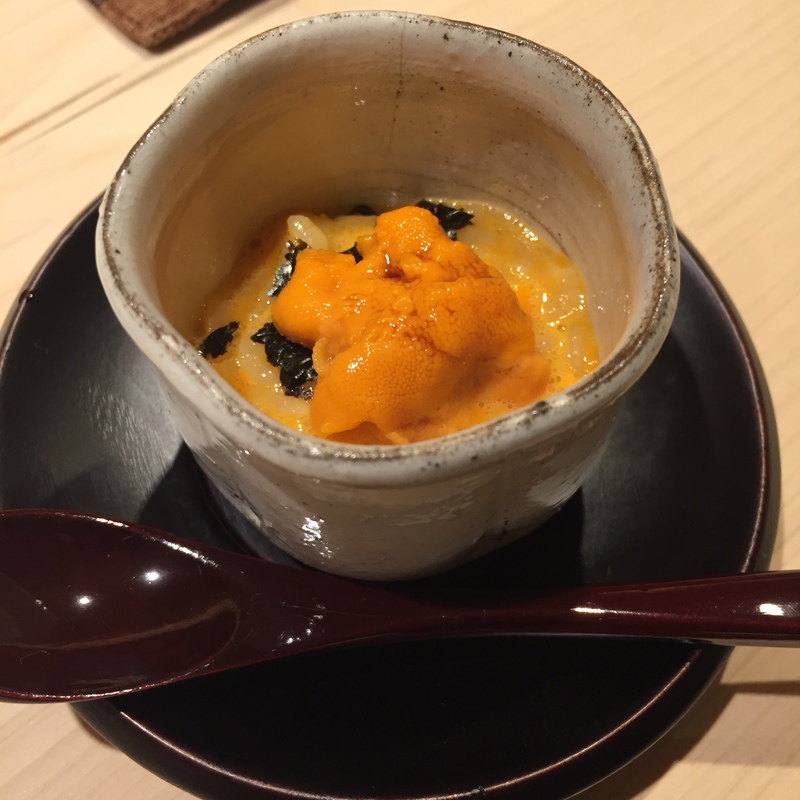 CHAWAN MUSHI (egg custard) – CHAWAN MUSHI with a super thick, almost gel like daishi, topped with UNI. This was INCREDIBLE. 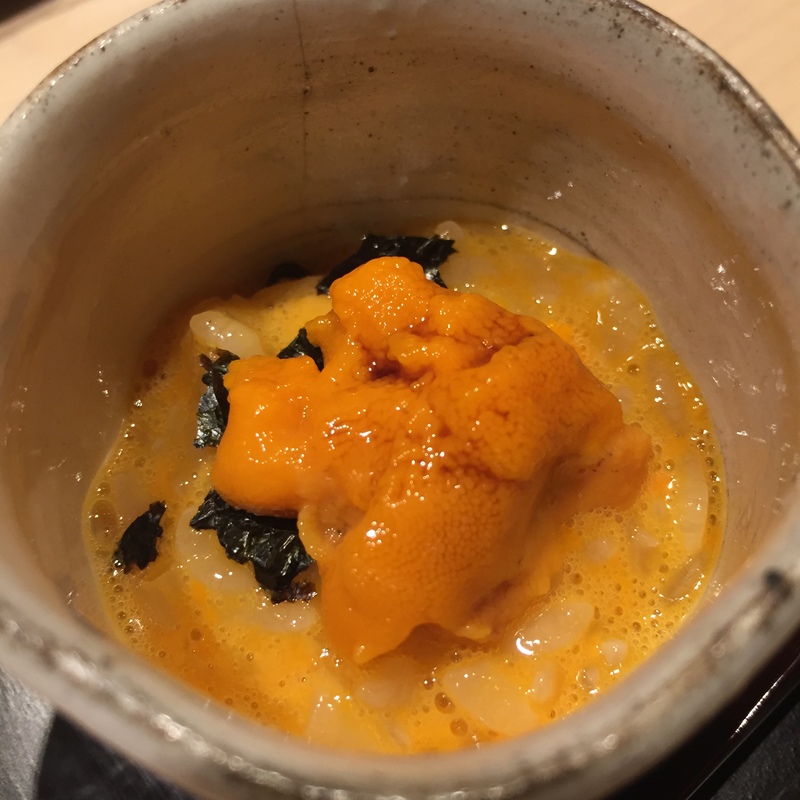 The daishi was so flavorful, marrying the mild CHAWAN MUSHI with the super fresh UNI perfectly. 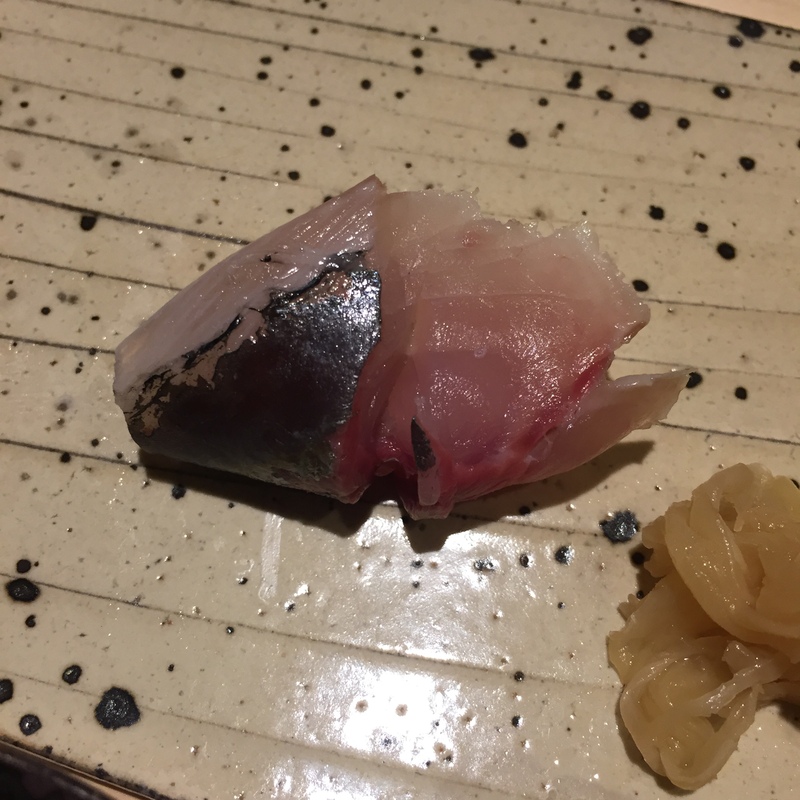 OKUSA (Devil fish; Inimicus Japonicus) – Full disclosure, I have not once ventured for a “proper” tempura meal. In Japan, a proper/good Tempura restaurant can run you 150-200 USD. Clearly, we spend that and more for Sushi, but for Tempura, I just can’t. Can’t. 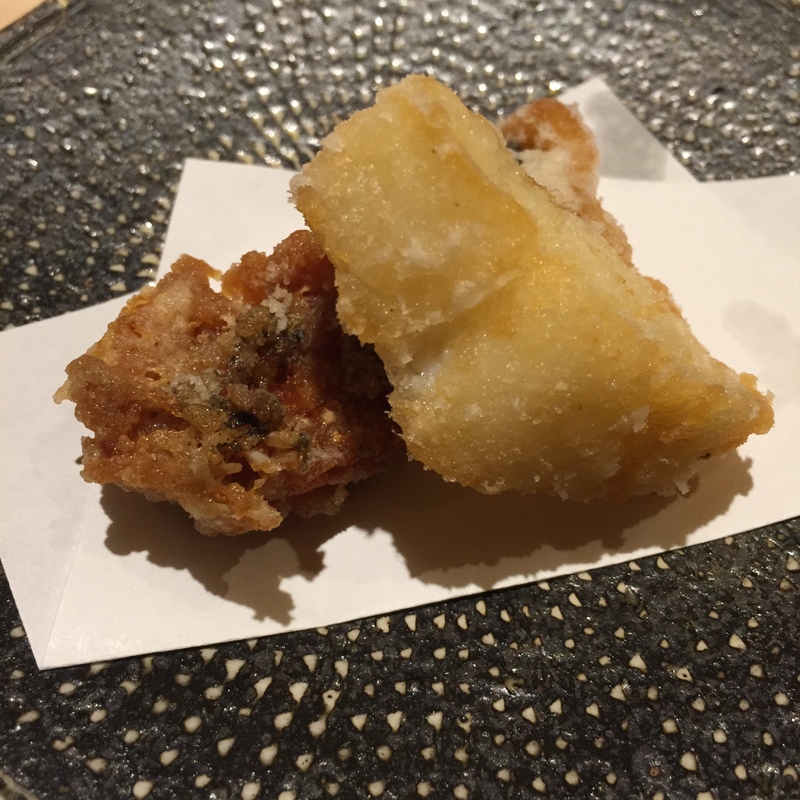 This OKUSA tempura was so crisp, light, airy. Really great. That said, I still would have preferred more raw fish. 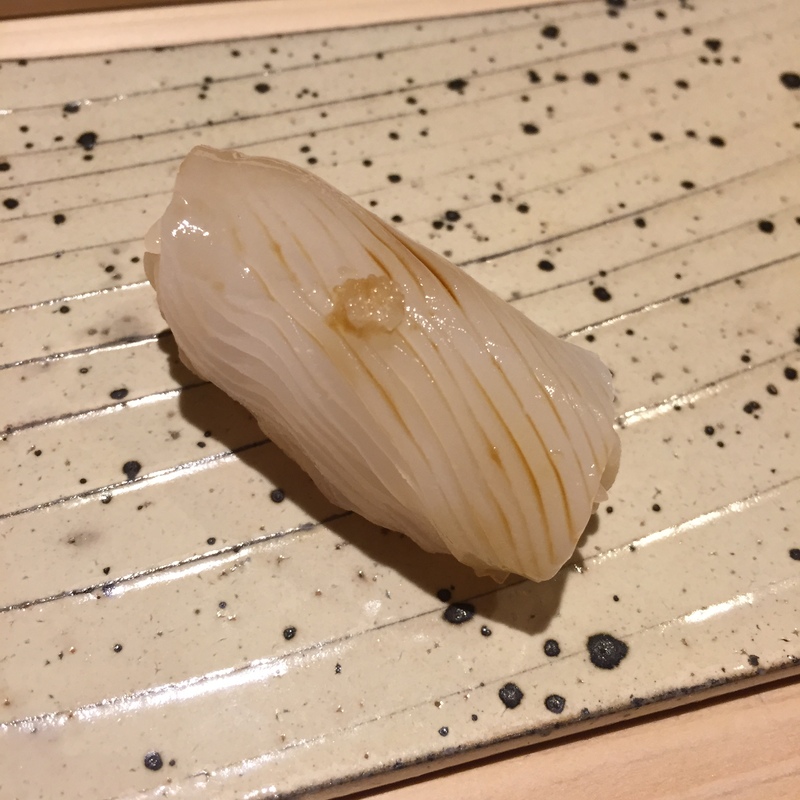 Hokkaido AWABI (Abalone) – The third cooked fish of our omakase. 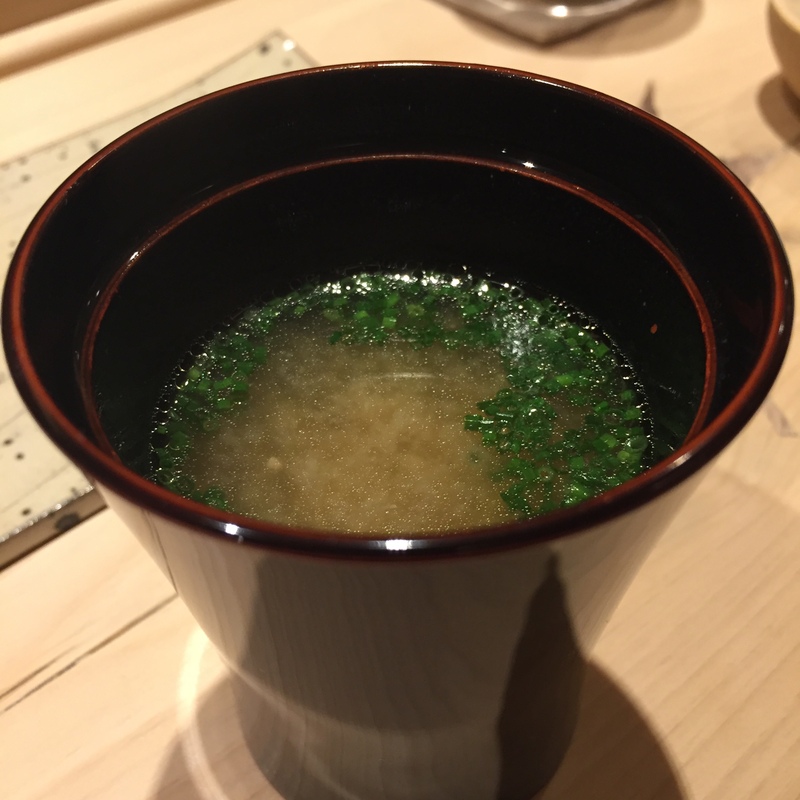 I don’t like that there’s been three cooked servings, BUT other than the OKUSA, no way I would pass up either this or the UNI CHAWAN MUSHI. 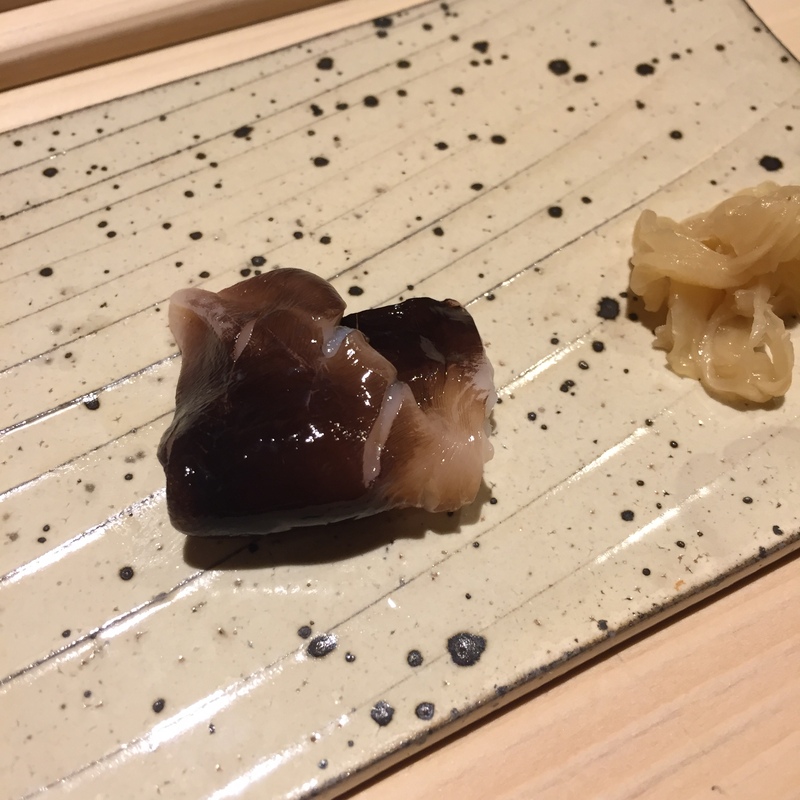 This ginormous AWABI was braised to perfection (tender, with the perfect amount of chew left), chopped up in front of us, and topped with the AWABI liver sauce. 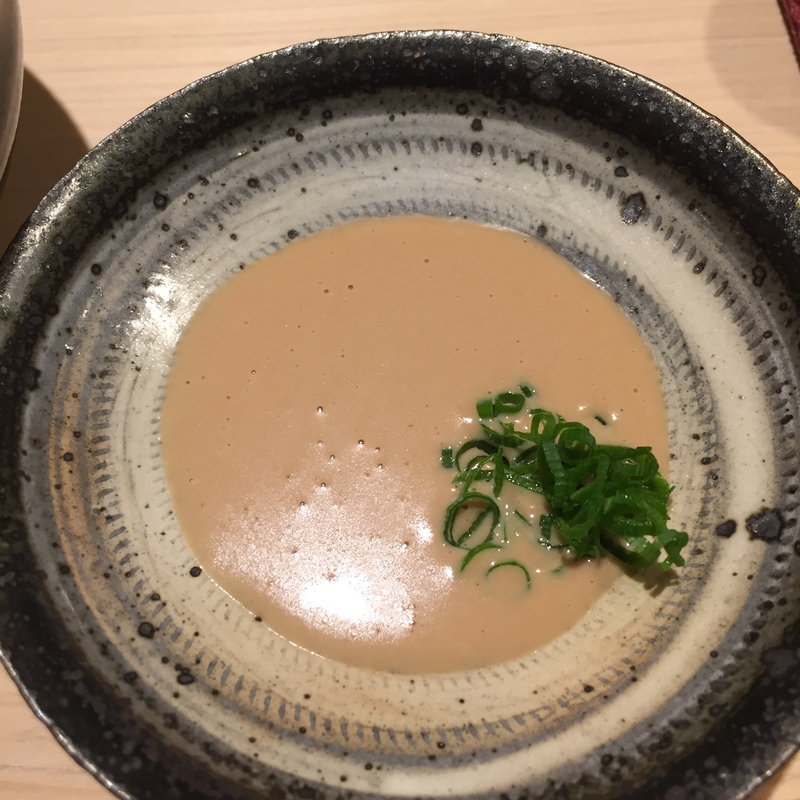 MIYAKAWA-san’s liver sauce is top-notch. Killer dish! 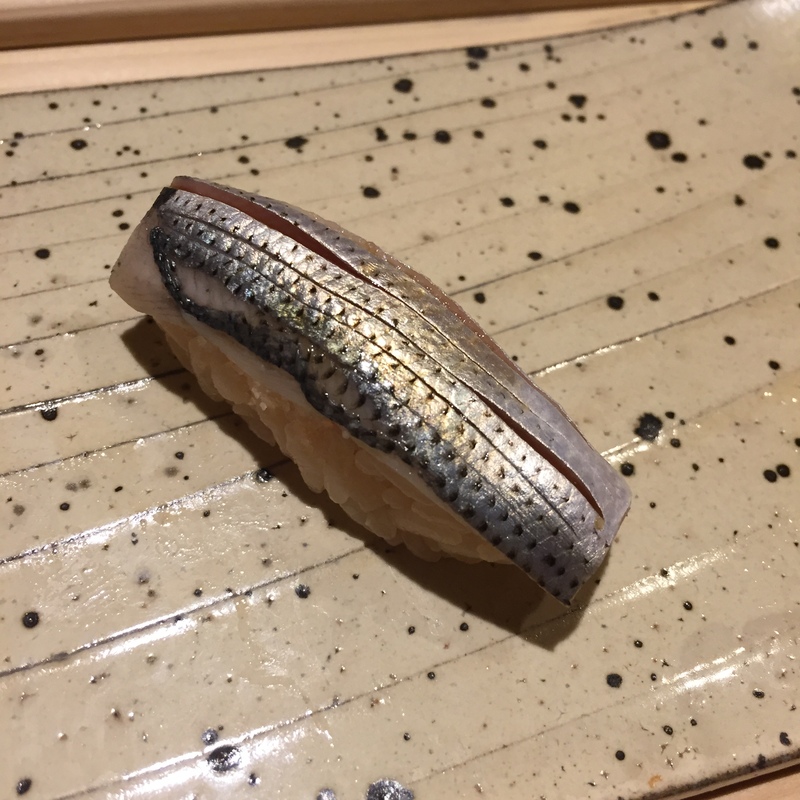 SHIMA AJI (Striped Jack) – Served with the skin slightly ABURIed, and topped with a ton of light Japanese scallion. 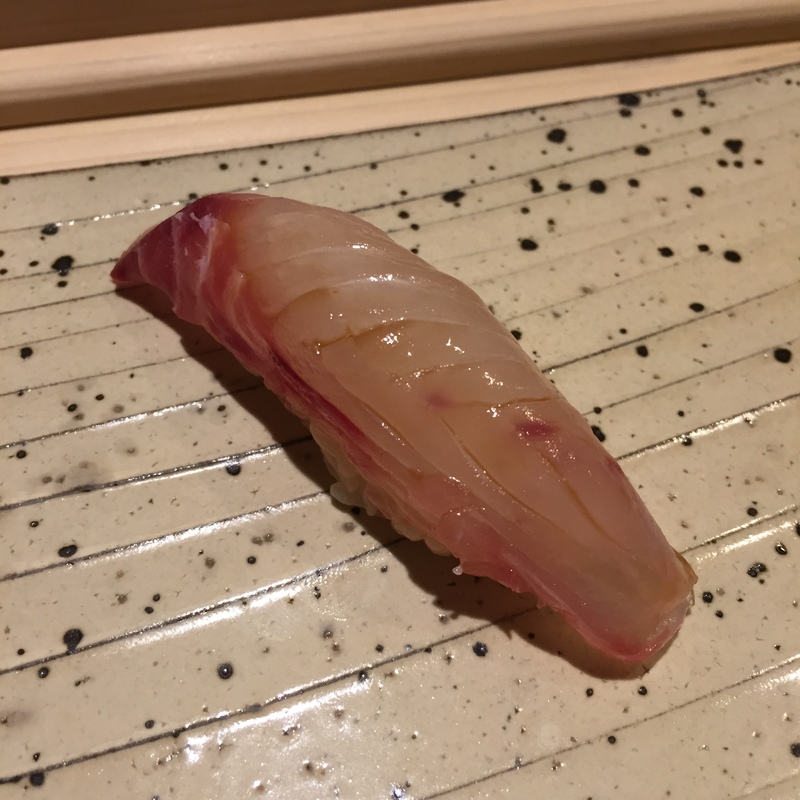 First time I’ve ever had the skin of a SHIMA AJI ABURIed, and wow was this great! KEGANI (Hairy crab) – First not-so-amazing combo. 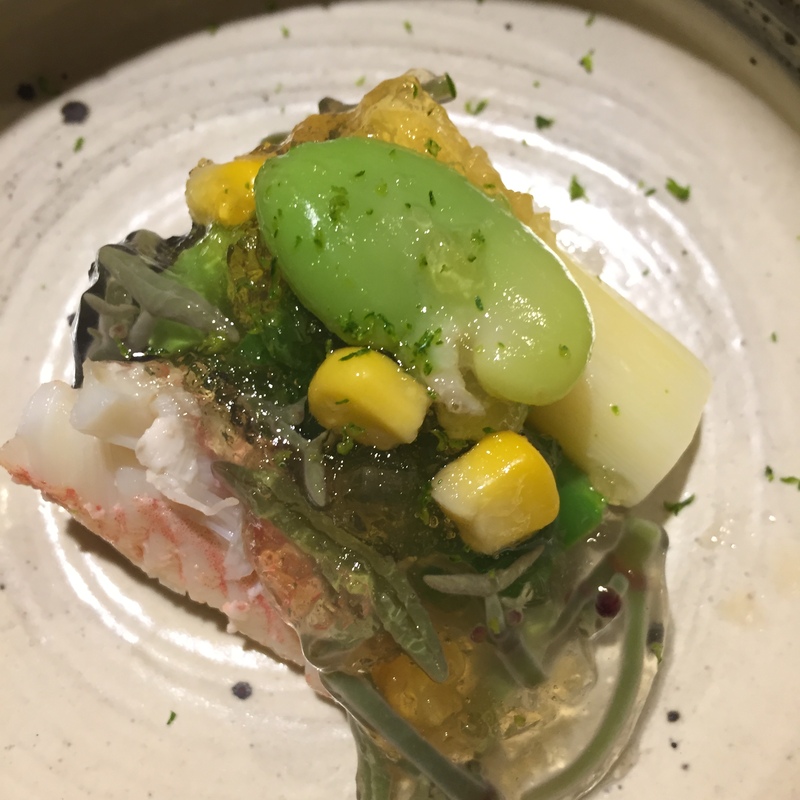 The KEGANI was very good, the seaweed jelly thing (KYO YA gives us this too) along with the shaved SUDACHI was an amazing topper. The white and green asparagus was fine, but would not have been missed. But the edamame and corn? What was that??? I don’t know that I’d go as far as to say it was contradicting in flavor, but at a minimum, it was distracting. All in all, still a very, very good dish, but pales in comparison with the servings thus far. 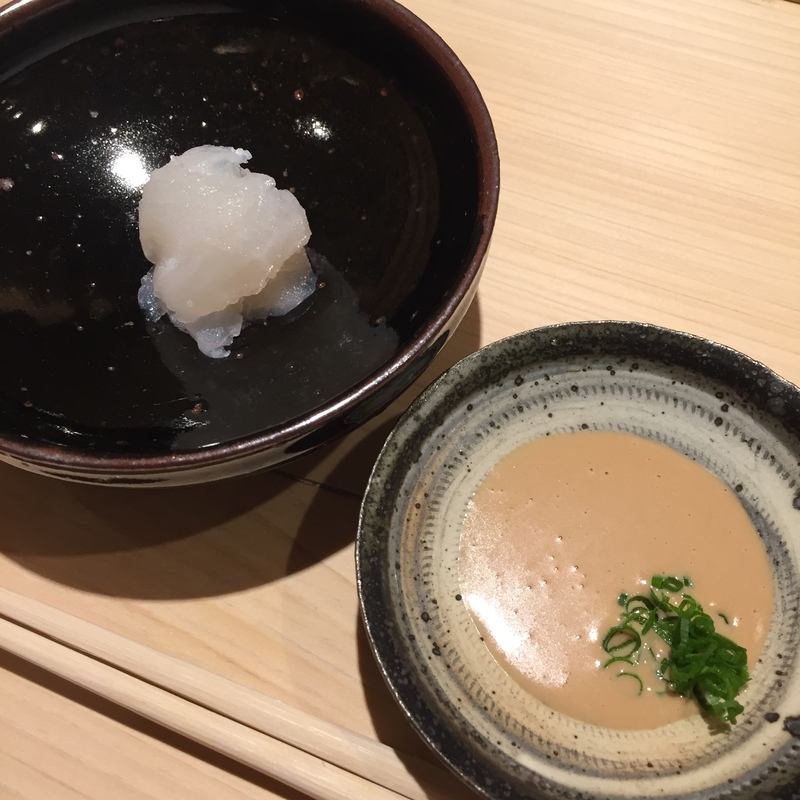 ISAKI (Grunt) – Served with no skin, a touch of soy, and a squeeze of sudachi. Nice transition chef! So light, so refreshing! 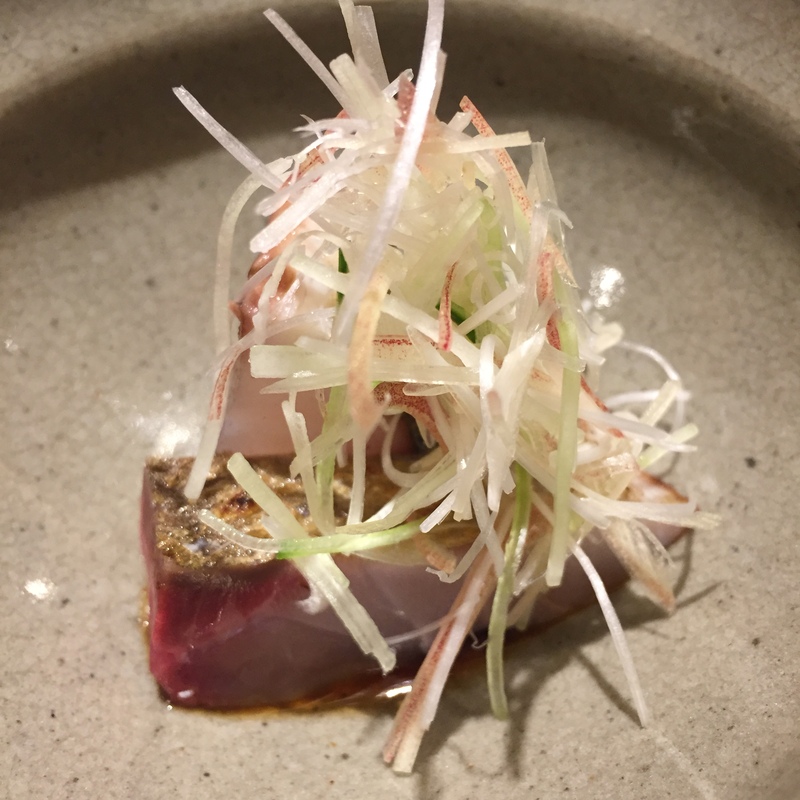 AKAMI ZUKE (lean marinated bluefin) – Holy soy! 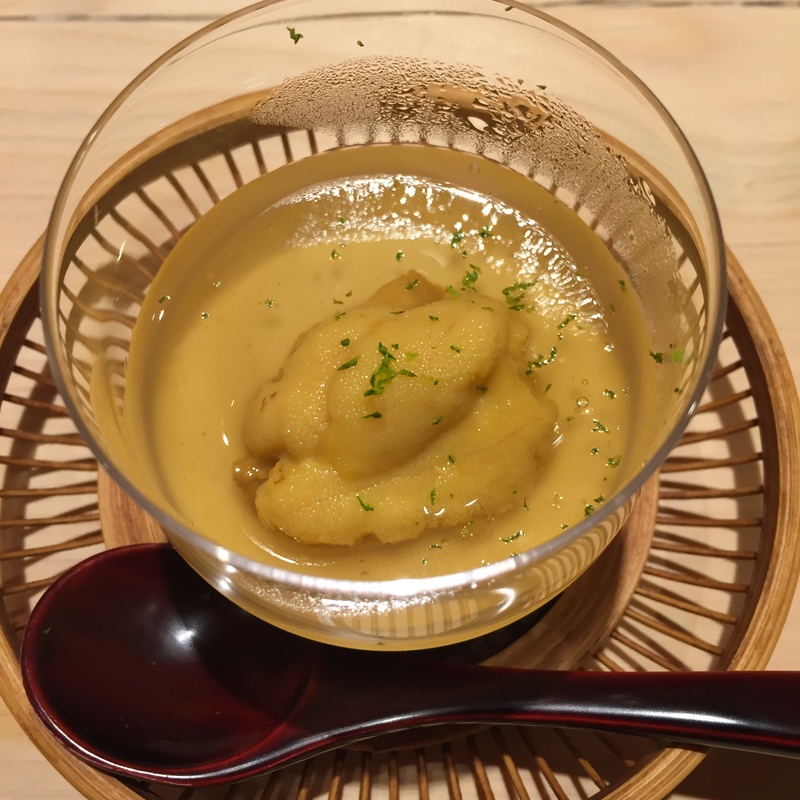 This was one of the most soy-ish AKAMI-ZUKE I’ve ever had. Though not great, it was still very good, no vein, no funky aftertaste. Very, very good. 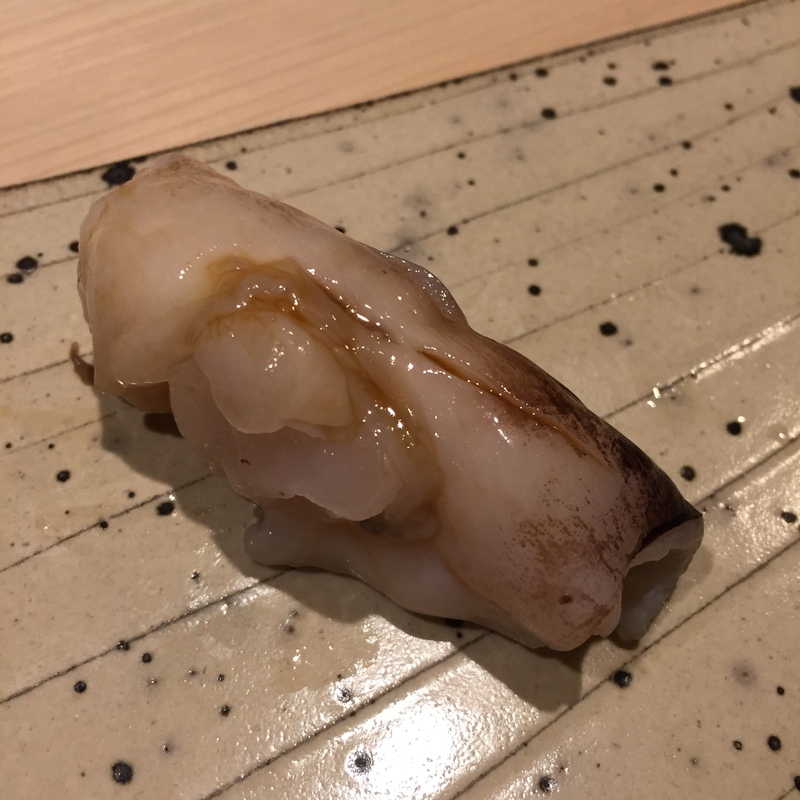 AORI IKA (Squid) – Interesting! No crunch at all, some gumminess, but melts? Very good. 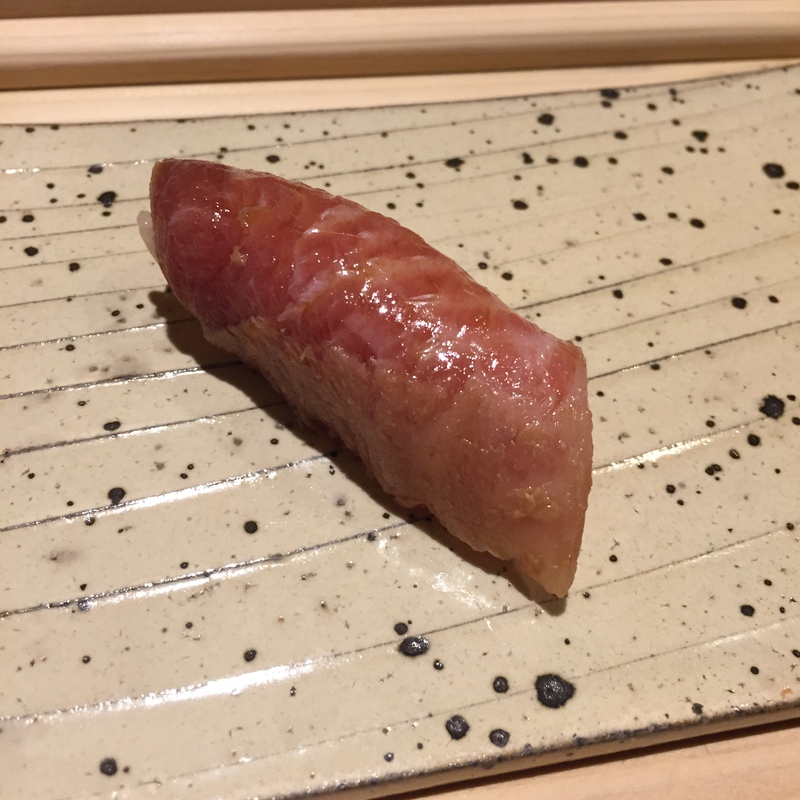 OTORO (Super fatty tuna) – Amazing! Beautifully flavored, and melts in your mouth. 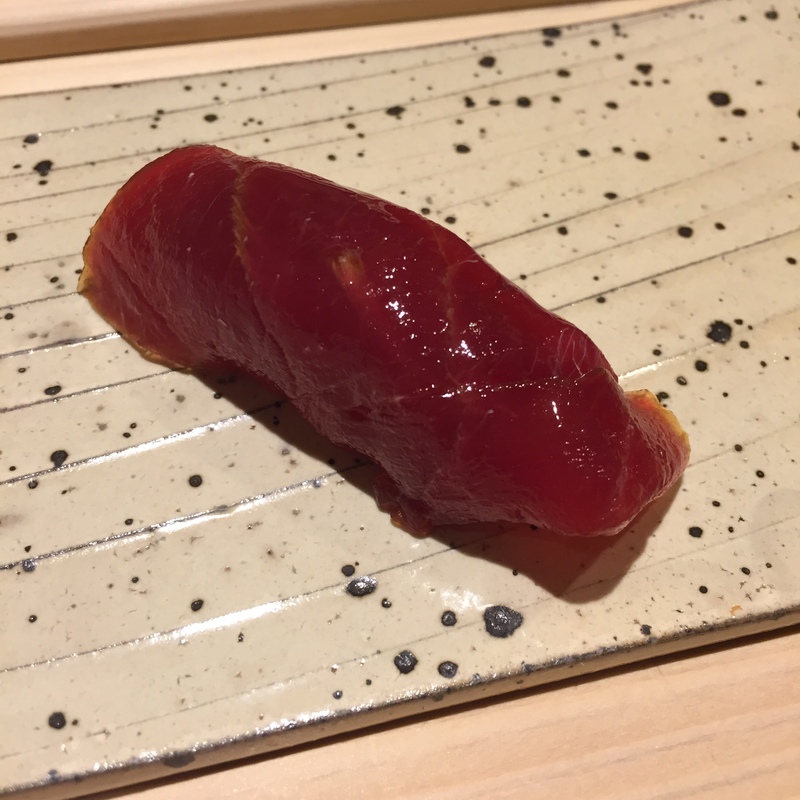 AJI (Horse Mackerl) – MIYAKAWA-san knows I’ve reached my limit. 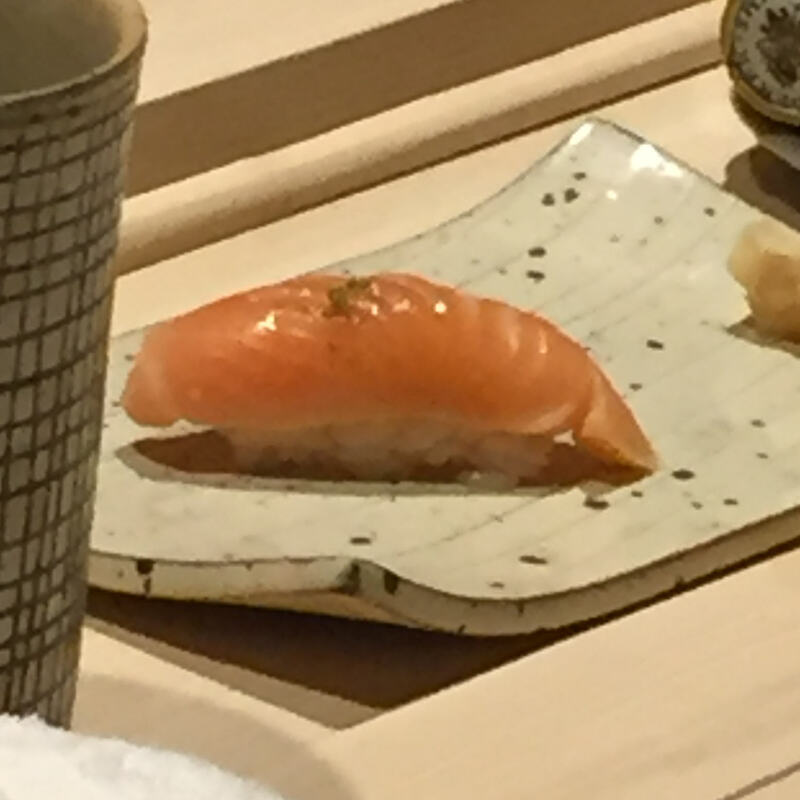 He offered to serve me sashimi for the remainder of the servings. Like the loser that I am, I let the fish stay on my plate, never touched it. Boyfriend had it, and said it was great. 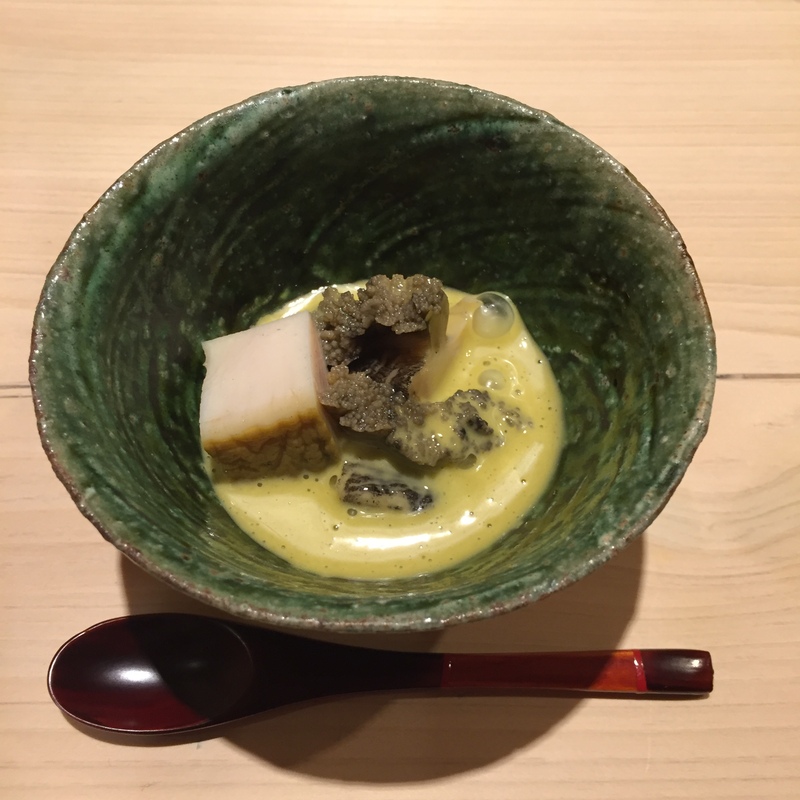 Hokkaido UNI – I’m green with envy. Purple like jelly. It looks so so so good. 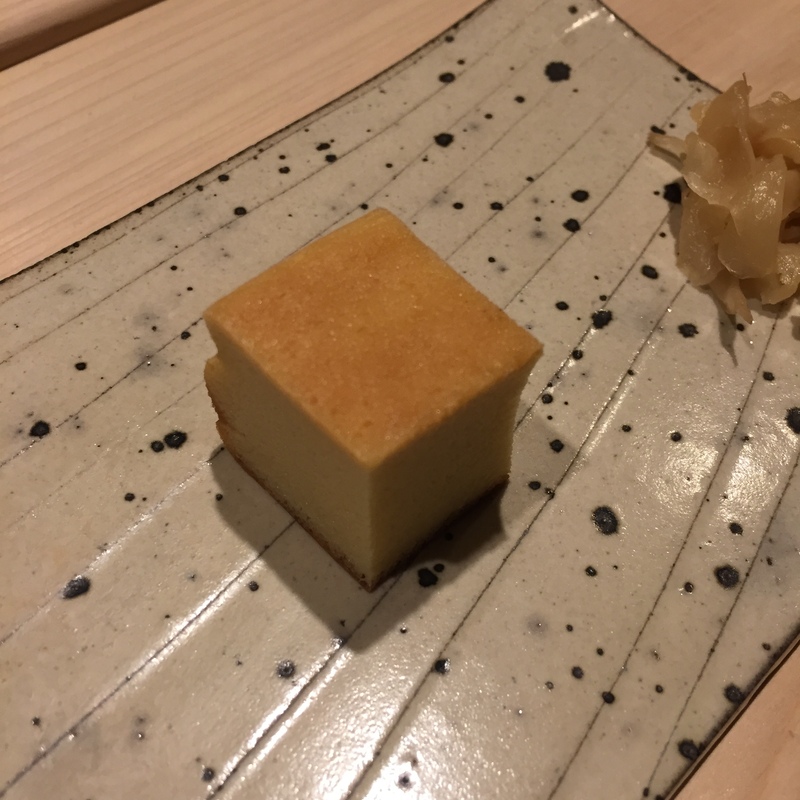 TAMAGO – I don’t eat this when I’m still hungry, so why would I now.